Although Black Friday traditionally was the day after US Thanks Giving, it then extended to the weekend and the following Monday which became Cyber Monday. Now however, it has extended further and many brands and retailers will be starting their sales early the week beginning the 19th November – Cyber week. If you prefer not to be crushed and elbowed grabbing the best buys (and I know it is something I will never do!) then be prepared to get the best of the deals from the comfort of your own home, with glass or coffee in hand. What’s more you don’t even need to be bombarded with emails from all of the brands and retailers you love because I will be doing all the research for you. Plus because I work with many of them I will get you the deals as soon as they go live. Just pop back here to see where and what the deals are, plus any codes you need. I will be keeping this page updated regularly so Bookmark it so that you can pop back at any time. I will also be emailing out during the week too, so if you aren’t signed up to my newsletter yet, you can do that here. A few additional tips for you. If there are items that you already know you want, I would recommend adding them to your online basket now. Then all you need to do is use any code once I give it to you to get your discount as fast as possible. Premium pieces are likely to sell out quickly, so the more time you can save the better. Selfridges Up to 20% off site-wide, using the code SELFCCE – includes luxury brands like Mulberry, Stuart Weitzmand, Valentino and La Mer! Karen Millen 25% off everything Check out the coats, boots and party wear, including the gorgeous sheepskin with £350 off! 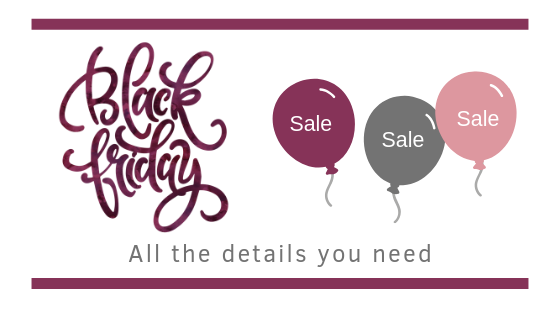 La Redoute 40% off everything with code BLACKFRIDAY – their prices are good even before the discounts!